The Goods and service tax (GST) is passed by Rajya Sabha recently. The GST bill which was pending since so many years will be a reality soon. The GST will be a game changer for the Indian economy as it will abolish many indirect taxes and bring all of them in the single window. 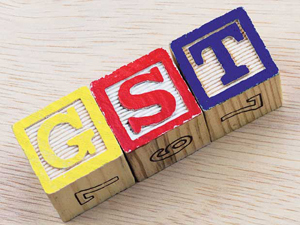 What is Goods Service Tax (GST)? 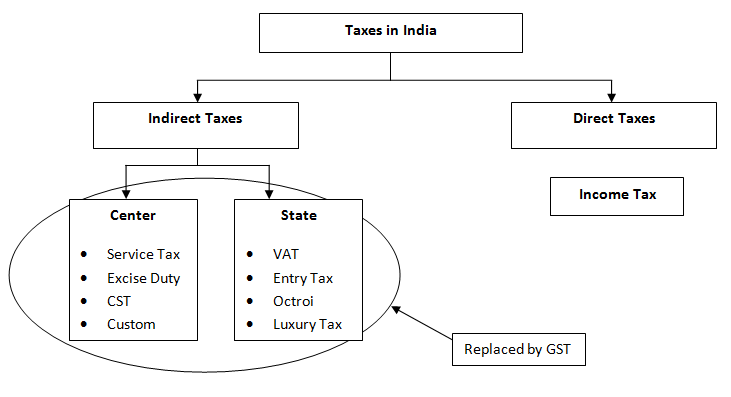 GST or Goods and Service Tax is common tax system proposed by the government. As the name suggest it is a common tax for Goods and Services. In simple words today we are paying multiple taxes such as excise duty, custom duty, value added tax, octroi, service tax etc. Once GST is implemented all these taxes will be replaced by a single tax which is called as GST. GST rate is expected to be 18-20% which is lesser than tax burden of indirect taxes. The GST is expected to give following benefits. The biggest benefit of GST is an elimination of multiple indirect taxes. All taxes that currently exist will not be in picture. This means current taxes like excise, octroi, sales tax, CENVAT, Service tax, turnover tax etc will not be applicable and all that will fall under common tax called as GST. For a common man, GST applicability means the elimination of double charging in the system. This will reduce the price of goods and services & help common man for saving more money. It is expected that price of FMCG products, small cars, cinema tickets, electrical wires etc is expected to reduce. GST will bring one country one tax concept. This will prevent unhealthy competition among states. It will be beneficial to do interstate business. For a businessman, GST will be a boon. No multiple taxes means compliance and documentation will be easy. Return filing, tax payment, and refund process will easy and hassle free. GST will be applicable at all stages from manufacturing to consumption. GST will provide tax credit benefit at every stage in chain. Today at every stage margin is added and tax is paid on whole amount, in GST you will have tax credit benefit and tax will be paid on margin amount only. It will reduce cascading effect of tax thereby reducing cost of product. As GST will reduce cost of product it is expected that demand of product will increase and to meet the demand, supply has to go up. The requirement of more supply will be addressed by only increasing employment. As demand will grow naturally production will grow and hence it will increase gross domestic product. It is estimated that GDP will grow by 1-2% due to GST. GST is a single tax which will include various taxes, making the system efficient with very little chances of corruption and Tax Evasion. As GST will address cascading effect of tax, inter-state tax, high logistics cost it will make manufacturing more competitive. This will bring advantage to businessman and consumer. GST will replace all 17 indirect taxes with single tax. Increase in product demand will ultimately increase tax revenue for state and central government. Goods and service tax is a boon for the Indian economy and the common man. It is a welcome step taken by the government. Thanks for the great info.You have mentioned that GST will reduce cost of products,very true.But,cost of a product is determined by other factors also like sellers profit margin.So,we might see a rise in prices also if actual benefit is not passed to the final consumer.Anyways,lets hope GST has a positive impact in India. Am not sure about the federalism impact of this – states will become pawns in center’s hand and politics will drive which states get what benefits from center. Among the benefits you mentioned above, all those for businessmen and government will certainly work. But the benefits for common man will not materialize. In India, when taxes go down, the companies will increase their product prices which in effect keep the end prices same. This way the companies, banks, etc will benefit with higher margins. It is probably good for stock markets, not so much for common man. If you see the deposits and lending rates today, deposit rates have gone down by nearly 2% while lending rates are down by 0.7%. So who benefited from rate cuts? Banks or common man? Take Fuel prices, who benefited? Government or common man? In the above cases, if the reverse happen, tell me who suffers? It will only be the common man. Banks will happily pass on the rate hikes to customers and govt will pass on the fuel price rise to common man, because those are ‘deregulated’. On the other hand with GST, we need to pay 3 to 5% extra tax on services which will hit the people very hard. Again Govt is the big beneficiary here. If Rajya Sabha has managed to pass a bill (which is very hard in our country), we all know they did it only because its good for the politicians and corporates. I might sound very negative here, but please note down the product prices today and look for the same in a couple of years time in GST era. You could write another article with your findings in the future. I agree totally. What is there for the common man? Government should make it clear. I agree with this counter view.. conversion of multiple taxes into a single one ensures ease of operation and tighter controls. However the benefit to common man cannot be generalized as it depends on the basket of items s/he consumes. Also I feel 18% is too high as many items have only one or two of the various taxes applicable. In all these cases 18% would apply and that is ridiculous!